WASHINGTON, LELEMUKU.COM - The United States is acknowledging that many countries are not heeding warnings about the possible security risks in allowing Chinese tech giant Huawei to build the next generation of high-speech wireless networks known as 5G. The trend is particularly clear in Southeast Asia, where even U.S. allies are racing ahead to partner with Huawei and launch 5G networks in the coming years. In February, Thailand launched a Huawei 5G test network in Chonburi. Thai authorities indicated that the affordability of Huawei's 5G services offset potential concerns over cybersecurity. In the Philippines, its Globe Telecom is rolling out the nation's 5G network in partnership with Huawei. In Malaysia, the country's leading communications and digital services company Maxis signed a memorandum of understanding with Huawei to cooperate and accelerate 5G development. This week, six former top U.S. military officials, including two who were commanders for the U.S. Pacific Command, issued a blunt warning of a future where a Chinese-developed 5G network could be widely adopted among American allies. "There is reason for concern that in the future the U.S. will not be able to use networks that rely on Chinese technology for military operations in the territories of traditional U.S. allies or emerging partners in Europe, Asia and beyond," said the former military leaders in a statement. "The immense bandwidth and access potential inherent in commercial 5G systems means effective military operations in the future could benefit from military data being pushed over these networks," they added. And U.S. Secretary of State Mike Pompeo on Thursday warned some European countries could soon find themselves cut off from U.S. intelligence and other critical information if they continue to cultivate relationships with Chinese technology firms. "We've done our risk analysis," Pompeo said, following a NATO ministerial meeting in Washington. "We have now shared that with our NATO partners, with countries all around the world. We've made clear that if the risk exceeds the threshold for the United States, we simply won't be able to share that information any longer." For U.S. officials, the threat posed by a Chinese-built communication network could not be clearer. "Huawei is not a state-owned enterprise. But Huawei is a Chinese company and what we do know is several things. One, broadly speaking, Chinese companies will respond to requests for demands from the Chinese government. Telecommunications is a vital part of national backbones. It has military security implications. It has financial and economic implications," said Dean Cheng, a senior research fellow of Washington-based Heritage Foundation. 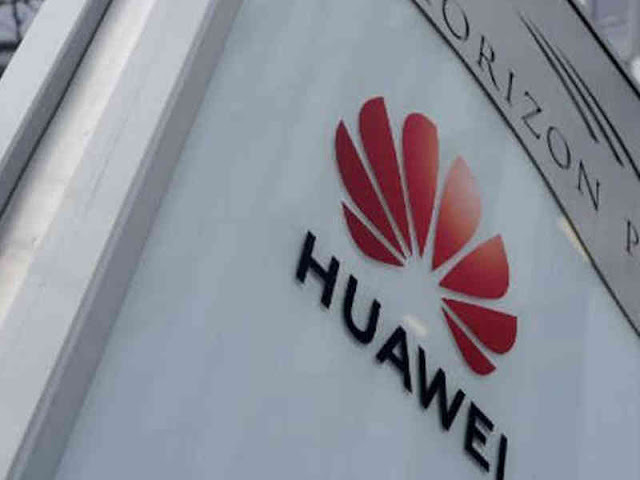 Huawei insists that it would not turn information over to Chinese authorities if they demanded it, but few outside analysts believe any Chinese company would stand up the country's authoritarian government. U.S. officials are even more direct. "What we do is in our national interests, we see with companies like Huawei that are supported, if not directed, by central authorities in China. We see challenges and potential threats to the sanctity, the security of our systems in our networks, and the best we can do with our friends and partners and allies, is to share our information, share our experience," Patrick Murphy, Principal Deputy Assistant Secretary of State for East Asian and Pacific Affairs, told VOA at a recent seminar at the U.S. Institute of Peace. That message clearly has had a mixed reception, especially after years when the United States' vast electronic eavesdropping capabilities have drawn criticism. Richard Kramer, founder of Arete, a technology research firm based in London, said leaks from U.S. security agencies in recent years have revealed close cooperation between the federal government and U.S. telecoms and tech firms around intelligence gathering. The U.S. position, he said, seems to be: "We don't want China to spy on us, but we want to be able to spy on them." Even in countries where there are open political concerns over the growing power of Chinese influence, too much U.S. pressure could backfire, said Anthony Nelson, Director of the East Asia and Pacific practice at the Albright Stonebridge Group, a global business strategy firm. "Southeast Asian countries that are looking to balance their military relationships with the U.S. and China are not motivated by Washington's security concerns, with the notable exception of Vietnam," Nelson said. Vietnam has had tensions with China in recent years over disputed territory and trade issues. Vietnamese Ambassador to the U.S., Ha Kim Ngoc, told VOA that all companies operating in the country need to respect Vietnam's sovereignty.